Halloween is coming and I’m sure you’re looking for something scary to play. The best horror games support macOS. Which means you won’t have a problem finding something right up your alley. Do you prefer first-person, top-down, story-driven or action-packed games? No problem, these 10 games cover most genres and play styles. Looking for something less scary? We also have a list with the absolute 100 Best Mac games. After reviewing our Top 10 from last year, we decided it was time for a good refresh. First of all, we removed Metro: Last Light, a game that is more about survival than horror and decided to add a bunch of new games as part of the brand-new Competition section to give you more choices. This is what makes our Top 10 guides unique. We tested every single game featured below on at least two Macs models. SOMA is the most recent game from Frictional Games, the creators of the Amnesia series. This first-person game takes place in an underwater research facility. It’s Rapture meets the Nostromo, and that’s the best part of the game. The tension comes from the environments here, not the monsters. But it gets worse: You can’t fight back. You’ll have to hide from the monstrosities that roam the corridors as you explore and discover what happened to all the missing employees. Just like in past Amnesia games, you can interact with everything around you. You can grab door handles, yank cables, move items and more. This creates an incredibly immersive, yet demanding experience. One more thing… Similar to Alien: Isolation, this is one good-looking game that will require some chops to run properly. But with the right hardware, this game can look amazing. System Requirements: 2.4 GHz Intel Core i3; 4GB RAM; 25 GB HD space; NVIDIA GeForce GTX 260, AMD Radeon HD 5750, or better with 512 MB of Video Memory. Many claim Outlast is the scariest game that can be played on Mac. Outlast puts you in the shoes of a freelance journalist who decides to investigate a psychiatric hospital lost in the mountains. That was obviously a bad idea, as hell breaks loose and you find yourself surrounded by homicidal patients. Plus, most of the corridors, rooms, and sewers you’ll navigate are pitch black. The only way to see is by using the low-battery video camera you have on you. But it gets worse: You are completely incapable of combat. With no weapons at your disposal, you will have to be quick on your feet to stay alive. Needless to say, Outlast is a must if you enjoy horror games. One more thing… This is a great-looking game too, but unlike others on this list, you won’t need a top of the line Mac to enjoy it. Can your Mac run it? As you can see from these results, most modern Macs should be able to run it, including MacBooks. System Requirements: MacOS 10.9; 2.2 GHz Intel Core 2 Duo; 4GB RAM; 5 GB HD space; GeForce GT 750M, Intel Iris Pro 5200, or Radeon HD 3xxx. Layers of Fear is a unique take on the horror genre. There may be no monsters here, but this is still one of the scariest games you can play on your Mac. In Layers of Fear, you are a painter who has gone mad in his attempt to finish his masterpiece. The entire game takes place in what seems to be an ordinary house. Except it isn’t. You enter a room and turn around, only to see that the door disappeared. Paintings seem to follow you with their eyes. At some points, you begin to understand what it must feel to go mad. The more you play, the more disturbing this game becomes. You’ll find clues to the horrible things you’ve done and eventually hear and see terrifying specters of the things you used to love. One more thing…This is an unsettling game that also looks great. Aspyr did a great job here. Even my MacBook Pro, with its puny Intel Graphics, could handle it. Can your Mac run it? As you can see from these results, our 2013 13-inch MacBook Pro did ok, squeezing a reasonable 37 FPS. Most Macs from 2016 onwards should be able to handle it, including those with integrated graphics. System Requirements: MacOS 10.10; 2.3 GHz Intel Core i5; 4GB RAM; 5 GB HD space; ATI Radeon HD 5770 1GB VRAM, Nvidia GeForce 750M or Intel HD 6100. BioShock Infinite was the top BioShock experience on Mac, but that changed with BioShock Remastered release. Infinite is in many ways a superior game, but when it comes to scary experiences, BioShock Remastered is the way to go. BioShock is not about jump scares, it’s about immersing you in one of the most desperate places ever. The game takes place in Rapture, a city full of psychopaths ready to do the most gruesome and terrible things. The gameplay mechanics are great too, making this an extremely fun game to play. And now that the Remastered version supports macOS, you can enjoy improved graphics, better textures, and resolutions up to 5K. One more thing… What’s even better, this game is so well optimized, it runs even better than some newer games. Both my iMac and MacBook Pro ran it great, with a lot of power to spare. Can your Mac run it? Our 2016 MacBook Pro did so well, it’s clear this is a game most Macs should be able to run. Any bugs you should be aware of? We did encounter a bug when running the game along with our FPS counter tool, but you should be ok when simply running the game by itself. System Requirements: MacOS 10.12.5; 2GHzGhz Intel Core i5; 8 GB RAM; 27 GB HDD space; 2GB NVIDIA 680MX, 2GB AMD R9 M290, 1.5GB Intel Iris Pro 5200. Set fifteen years after Ridley Scott’s original film, Alien: Isolation sends you on a journey to an abandoned space station. This probably sounds like a standard Alien-scenario, but Isolation is unlike any other Alien game you’ve ever played before. Isolation is the first game that finally captures the essence of the original film. This is a game about survival. The monster is to be feared and respected. It can’t be killed. All you can do is run and hide. Luckily, the space station is full of places to hide, including vents, lockers, and cabinets. This means stealth will be your best weapon against the monster. But can your Mac handle it? One more thing… This is one great looking game, especially on high settings. But on the other hand, this is a demanding game. So much so that my MacBook Pro could barely handle it. Can your Mac run it? This is a demanding game. If you’re willing to play at the lowest settings, you should be able to run it at comfortable FPS even on MacBook Pros, but you better make sure your Mac meets the system requirements before purchasing it. Any bugs you should be aware of? This is yet another great Mac port from Feral. We never encountered any bugs during our tests. System Requirements: MacOS 10.10.4; 2.0 GHz Intel Core 2 Duo; 4GB RAM; 35 GB HDD space; NVIDIA GeForce GT 640M, ATI Radeon HD 5670, or Intel Iris Pro with 1GB of Video Memory. Horror games are going through a renaissance, largely thanks to Indies. Outlast and Soma are the more famous examples, but what if you don’t want another first-person game? Since last year, you have this excellent point-and-click indie called STASIS. In STASIS you wake up in a seemingly abandoned spaceship. There are no signs of survivors, but the bloodstains on the floor make you understand that something went terribly wrong. Turns out human experiments were carried out on the ship, but could not be contained. Monsters lurk in the shadows, but they can’t stop you from trying to find your lost wife and daughter. STASIS is a great indie, but what impresses me the most is how macabre this game can be. It doesn’t need jump scares, the atmosphere does all the work. Point-and-click adventure games weren’t supposed to be this scary. If you want a solid story, interesting puzzles, and a tense atmosphere, look no further than STASIS. One more thing… STASIS is one of those games pretty much anyone can enjoy. The only reason it didn’t run faster is because it’s capped at 60 FPS. Can your Mac run it? As expected, STASIS ran great on both of our machines. This is a game that should run on most Macs out there. System Requirements: MacOS 10.7; 2 GHz Intel Core 2 Duo; 2GB RAM; 5 GB HD space; Nvidia GeForce 205, AMD Radeon HD 3400 Series, Intel 4000 Graphics with 256 MB VRAM. Slender: The Eight Pages is a unique take on the horror genre. The game takes place in a dark and scary wood. It gives you a weak flashlight and asks you to find the eight pages that are scattered throughout the woods. The problem is, the Slender man is out to get you. 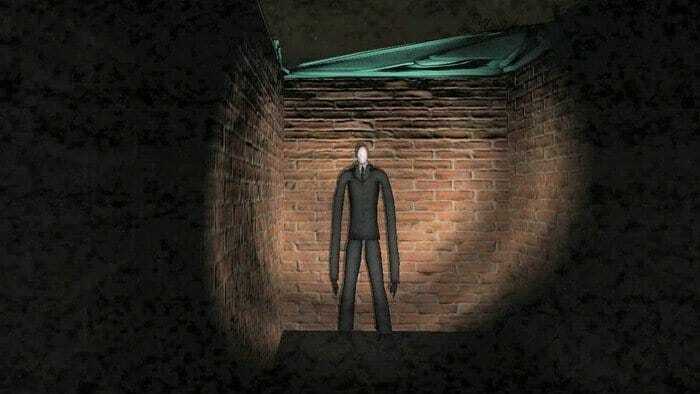 Staring at the Slender will cause everything to fade to black, so your only hope is to run from it. I won’t lie to you, this didn’t sound that scary at first, but once I find myself in those dark woods, I got why this little game was so popular. One more thing… This is one of the top free horror games for Mac you can find. I won’t cost you a dime and it will never ask you for money. Can your Mac run it? This is a very light game that should run on virtually every Intel-powered Mac out there. System Requirements: OS X 10.6 or later. Observer is the latest and greatest horror game to arrive to macOS. From the team behind Layers of Fear, Observer tells the story of detective Daniel Lazarski, played by Blade Runner’s replicant Rutger Hauer. And by the way, the entire game feels like Ridley Scott’s Blade Runner in first-person. But this isn’t the story of an ordinary detective. As part of a special police unit, your job is to hack and invade suspects’ minds. In this future, anything you think, feel, or remember can be used against you in a court of law. If you were looking for something different to play, this is it. Taking place in a city ravaged by drugs and neural implants, Observer sets a new bar for cyberpunk storytelling and dystopian environments. Coupled with a disturbing sound design, Observer is a tense, suffocating, and dark experience. Can your Mac run it? Given the game’s graphics, it’s not surprising it requires some decent horsepower to run. Stay away from it unless you have at least a very recent MacBook Pro. Any bugs you should be aware of? Testing Observer was a treat. No issues where encountered. System Requirements: MacOS 10GHz.6; 3.3 Ghz Intel Core i5; 8 GB RAM; 20 GB HD space; NVIDIA GeForce GT 680, AMD R9 M290. Does Doom 3 need an introduction? Doom 3 is as old-school as it gets. Set in 2145 on Mars, the game takes place in a research facility where an experiment goes horribly wrong. A gateway to Hell is opened, causing a demon invasion. As a space marine, you will have to fight your way through the base and find a way to close the gateway and stop the demons from invading Earth. Doom 3 isn’t subtle, but the endless waves of demons will keep you on the edge of your seat for the entire campaign. While the game is over 10 years old, it’s still one of the scariest experiences you can have on your Mac. One more thing… And you can already guess the other benefit of playing an older game: It can be played on older hardware too! Can your Mac run it? If you have an Intel-Powered Mac from 2012 onwards, you should be able to run Doom 3 just fine. Any bugs you should be aware of? Other than some slight complications setting the right resolution, no serious issues were encountered. System Requirements: Intel Core 2 Duo; 1GB RAM; 2GB HD space; ATI Radeon x1600, NVidia Geforce 7300 or card with 128MB of Video Memory. The Walking Dead is based on the award-winning comic book and television series by Robert Kirkman, and it too does a great job of recreating the hopelessness of a zombie-infested world. The game has its fair share of jump-scares, but the actual horror comes from the desperate world it recreates. The Walking Dead will show you how the world has gone to hell, how zombies could tear you apart, and how survivors can be even more dangerous. As most games from developer Telltale, this game is a monument to storytelling in video games, featuring a story full of choices that matter. Those choices will shape your adventure and define who your friends and foes will be. And that’s what makes this game so tense and macabre: seeing those you get attached to get slowly wiped out. One more thing… As every Telltale game out there, The Walking Dead goes for a cartoonish style that both looks great and is very easy to run, even on older Macs. Can your Mac run it? If you have an old MacBook lying around, I’m confident it should be able to handle this game! System Requirements: OS X 10.6,GHz3 Ghz Intel Core 2 Duo, 4 GB RAM, 2 GB HD space, NVidia or ATI graphics card with 512MB of Video Memory. We prefer to limit our featured games to 10 games, but in reality, there are much more horror games that deserve your attention. 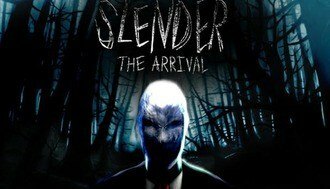 ✅ Not demanding Slender: The Arrival From Mark Hadley (AgentParsec), creator of Slender: The Eight Pages, comes Slender: The Arrival. This official re-imagining and expansion of the original game features a brand new storyline, improved visuals, great replay value, and most importantly, the tension and fear that made the first Slender game so famous. ✅ Not demanding Darkwood Darkwood is another top-down isometric game that aims to provide a new perspective on survival horror. By day you'll explore the randomly generated woods to scavange or materials and craft weapons to survive. But by night you'll have to find shelter, barricade, and hide or defend yourself from the horrors that lurk in the dark. ✅ Not demanding CAYNE Remember STASIS, the point-and-click horror game we mentioned before? Well, Cayne is another isometric point-and-click game from the same team. You can expect extremely similar gameplay and art style but what makes this game unique it's the fact it's completely free. Developer The Brotherhood decided to return to the STASIS universe and make it available to everyone! ✅ Not demanding White Noise 2 Described as a "fresh horror experience" by developer Milkstone Studios, White Noise 2 is indeed an interesting take on the genre. You can either be a part of the investigator team, or take control of the creature and devour them. This 4 vs 1 asymmetric horror experience is a tense and excellent game to enjoy with friends. ⚠️ Fairly Demanding Among the Sleep Developed by the Norwegian studio Krillbite Studio, Among The Sleep lets you immerse yourself in the limitless imagination of a child. The game lets you play as a two year old child who is awaken one night by a mysterious force. Among The Sleep takes place between dream and reality, and while it all occurs in an eerie house, the game will throw strange creatures and surreal environments at you. ⚠️ Fairly Demanding Narcosis Narcosis is a survival first-person horror game taking place in the depths of the Pacific Ocean. You're a diver stranded on the seafloor with low light and few tools, and you'll have to do your best to surface before yur oxygen — and sanity — give out. Expect to be tested not only by your primal fears but also the nightmarish flora and fauna that awaits. ✅ Not demanding CASE: Animatronics In CASE: Animatronics, you find yourself locked in your police department. The security systems have been hacked and something terrible is definitely going on in there. ✅ Not demanding Amnesia: The Dark Descent Amnesia: The Dark Descent is one of the goriest games I have ever played and comes from developer Frictional Games, the same team behind SOMA, our top horror pick. Amnesia: The Dark Descent takes place in a dark castle, filled with monsters and puzzles to solve. The game offers several stealth mechanics, allowing you to peek through doors, slowly sneak around and more. This will help you avoid the monsters that inhabit the castle. ✅ Not demanding System Shock 2 What is a game from 1999 doing here? We usually prefer to stick to modern games but System Shock 2 is different. This genre defining game inspired some of the greatest titles of our generation, Deus Ex and Bioshock. that made it one of the greatest games of all time is still there. I’ll be honest with you. The last time I played a horror game was SOMA. I was alone one night in my living room, lights off, sound up. I. Did. Not. Enjoy. It. Too much stress. I’d rather play The Walking Dead. Tense too, but different. MacBook Pro (Retina, 13-inch, Late 2016): 2.0 GHz Intel Core i5, 8 GB RAM, Intel Iris Graphics 540 (1.5GB). iMac (Retina 5K, 27-inch, Late 2014): 3.5 GHz Intel Core i5, 8 GB RAM, AMD Radeon R9 M290X (2GB). Keep in mind that anything over 30 frames per second is perfectly ok to enjoy a game. With these results, you should be able to gauge how demanding a game is. But remember, always refer to the official system requirements before buying a game! Without further ado, let’s dive into the best horror games for Mac. With first-person shooters, adventure games and more, this list has something for everyone. I’m confident that no matter your particular preferences, at least one of these games will be a good fit for you. And most importantly, they all have what it takes to put a chill on your spine. What better way to celebrate Halloween than that? Do you have a favorite Horror Mac game for Halloween that wasn’t listed here? If so, let us know in the comments section.